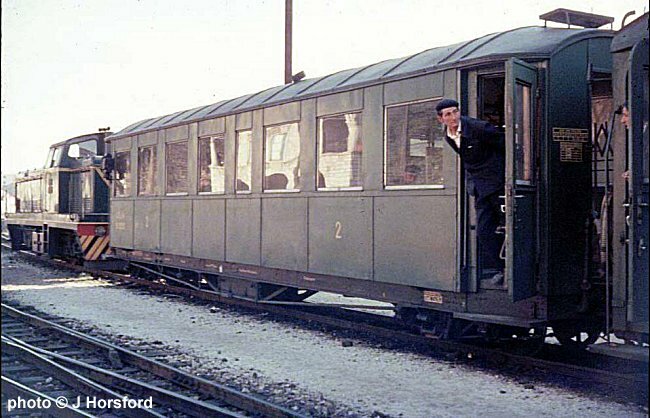 Jim Horsford visited Dubrovnik in 1972 and writes: I went on a weekend trip to Dubrovnik to see the narrow gauge - it was truly a wonderful line. 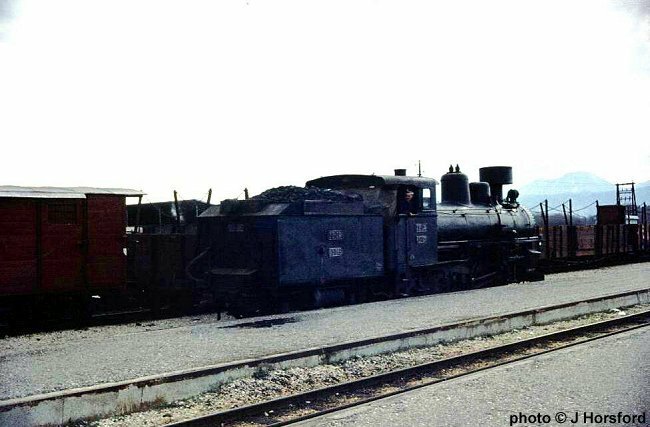 The steam had finished at the coast, but I managed a few slides of 83s at Capljina. 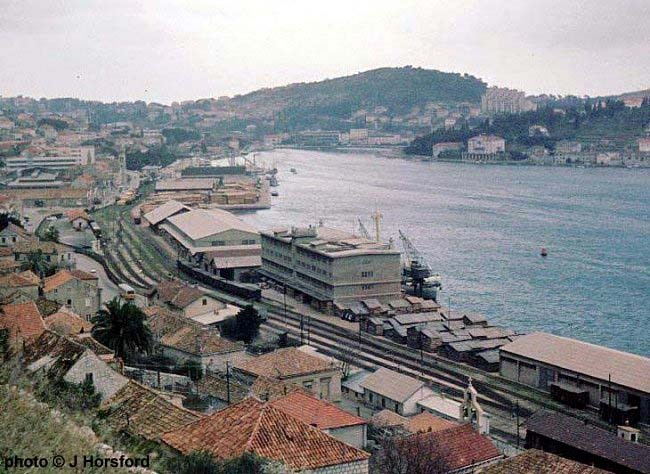 An overall view of Dubrovnik station and harbour in 1972. The station was in the suburb of Gruz, about 2km north of the old walled city. The station building is just to the right of the yellow bus. A Class 740 hauled local train arrives at Dubrovnik. 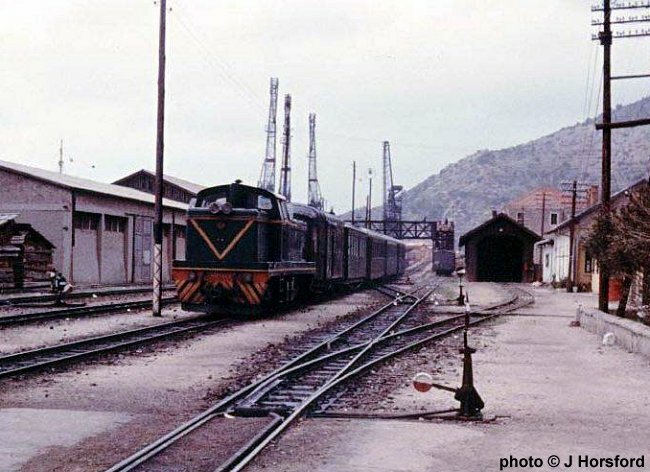 Shunting in progress at Dubrovnik. 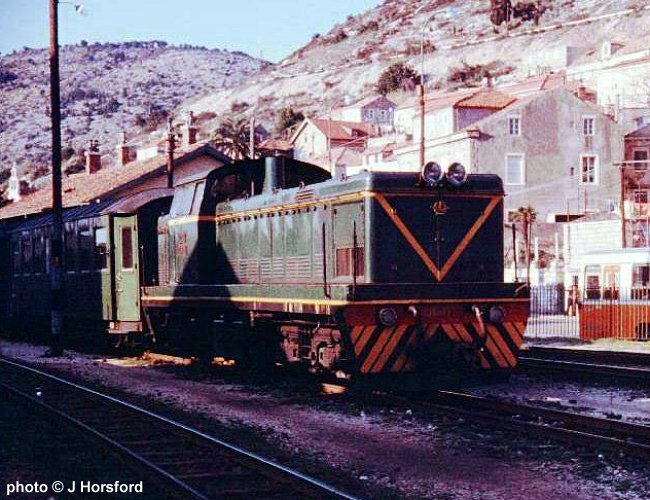 A Class 740 diesel hydraulic at Dubrovnik station. Hum station, junction of the lines to Dubrovnik and Niksik. 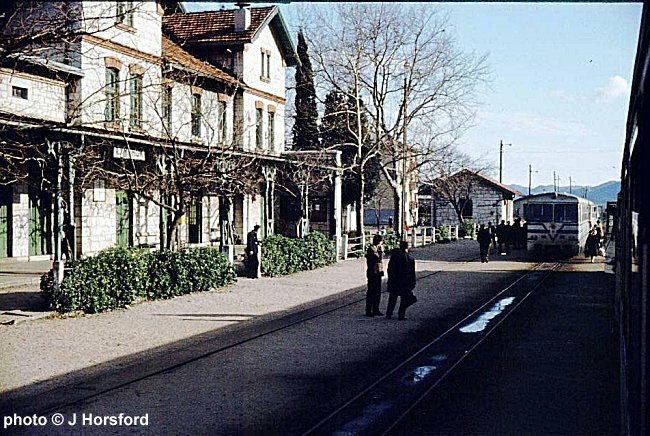 The modern interchange station of Capljina was opened in 1967 when the standard gauge line from Sarajevo replaced the narrow gauge. Two Class 83 0-8-2's are seen engaged on shunting duties.